I’m not usually a big tequila drinker unless there is a plate of tacos and refried beans in front of me. It also helps if a Mariachi Band is playing 10 feet in front of me. This weekend the stars aligned. I had a craving for nachos earlier in the week but didn’t want to go out. So my husband picked up some fixings and chose the most expensive bottle of tequila he could find… at a Ralph’s supermarket. Which, actually, was kind of pricey. So I made us margaritas based on Regan’s recipe and he made giant mounds of nachos. Fast forward to a Saturday soon after and my bi-weekly visit to Bar Keeper in Silver Lake (if I lived walking distance to this place I’d go broke in a month). With a running list of ‘extras’ for our bar, I try and make one special purchase every time I’m at the shop while stocking up on the usually necessities. This time it was a bottle of Dry Orange Curaçao. I ended up in a conversation with the owner, Joe Keeper, and he begged me to try it just by itself, on ice, and I’d be blown away (which frankly was just fantastically delicious). 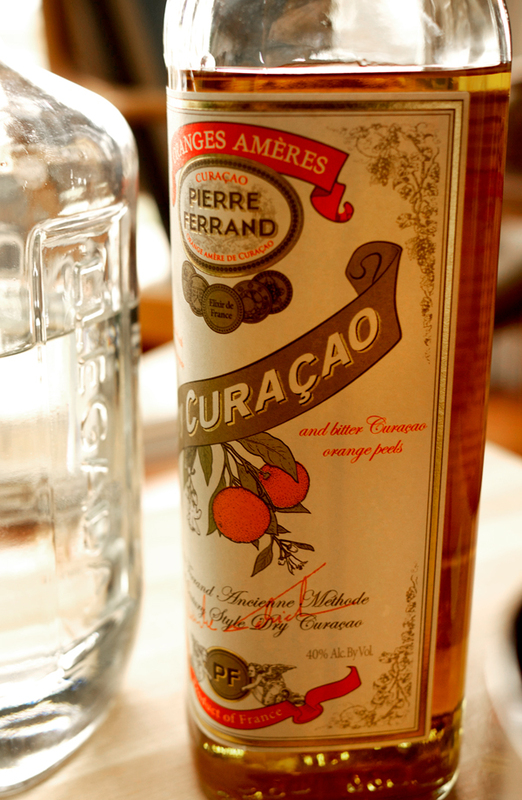 And then proceeded to give me a rough recipe for a margarita using this Curaçao. The kicker? Atomizing some Vida Mezcal over the finished product. Nice touch, I just happened to have a bottle of that at home. Immediately upon arriving home I was so smitten with this recipe that I broke out everything and then realized, well, an atomizer I did not have. Not even a spray bottle. The question then was just how much of the Mezcal should make its way into the drink? If one is just spritzing it over the top, then you don’t need that much to go into the drink. My first attempt was a 1/4 ounce, completely killing the drink. All smoke and no other flavors. So on the next take I tried just rinsing the glass with the Mezcal. Perfection. 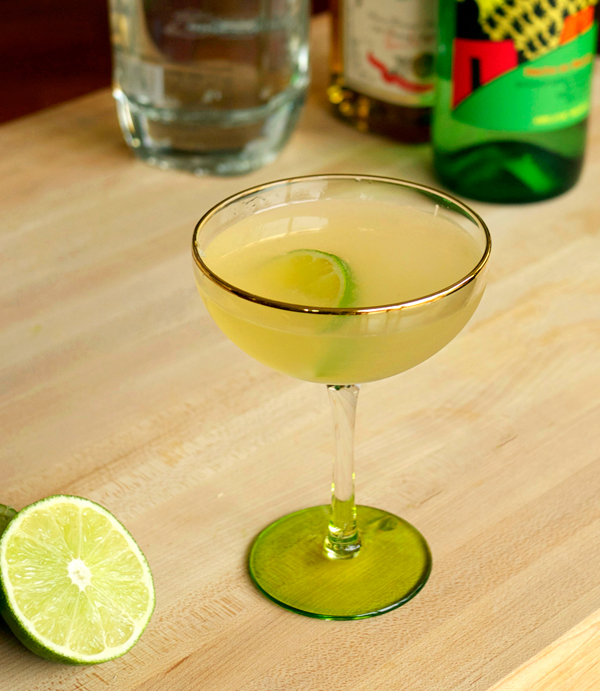 Just as described by Mr. Keeper, you first get hit with a smoky aroma from the Mezcal and then that wonderful sweet Curaçao, the tequila and a tangy citrus bite from the lime juice. It was really better than any margarita I’d had out with a Mariachi band and plate of tacos. This drink I give all the credit to the folks over at Bar Keeper who constantly help fill up my liquor bucket list, and who are always as enthusiastic about cocktails as I am. Rinse a chilled cocktail coupe with about 1/2 tsp of the Mezcal. Toss remaining liquid. 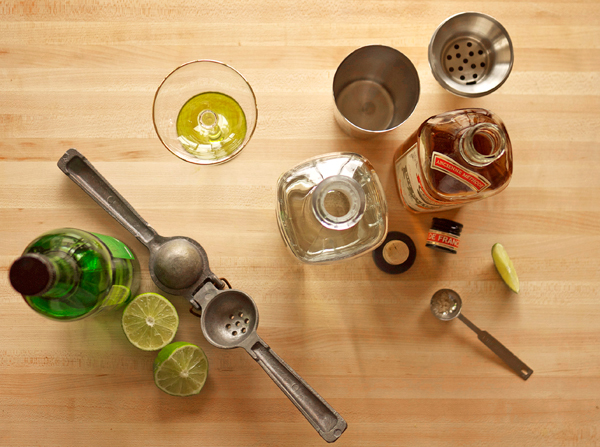 Combine tequila, curaçao, lime juice and salt into a shaker half filled with ice. Shake well to combine and strain into coupe. Garnish with lime wedge. Why is there no salt rim on this margarita? I find that a small pinch of the smoked sea salt shaken into the drink fulfills my need for salt without feeling like you are crunching on a salt lick, and it keeps the glass nice and clean. Granted, if you like crunching on a salt lick, by all means, rim away! I’ll have to give this one a try. I’m trying to enjoy mezcal but I always feel like they add too much (kinda like what you referenced in your initial tasting). So I may just track down a bottle of Montelobos and try yours first. Also, i would love to see a shot of your home bar (or whatever it is right now) cause you have A LOT of fun liquor.